House of the Day: Grownup Playhouse in Reno, Nev.
At nearly 2,000 square feet, the home gym in this Reno contemporary is bigger than many houses. The indoor/outdoor workout space is in addition to 6,000 square feet of living space, which also features another grown-up play area in the form of an incredibly cool movie screening room. Listed at $2.36 million, the house a Brazilian slate and stucco exterior, a custom curved metal roof, and a large entertaining deck off the game room with city views. It has three bedrooms and sits on 2.42 acres. Plus, it's in Reno, which is Las Vegas without the steroids. Rebecca Dickson of Dickson Realty has the listing. 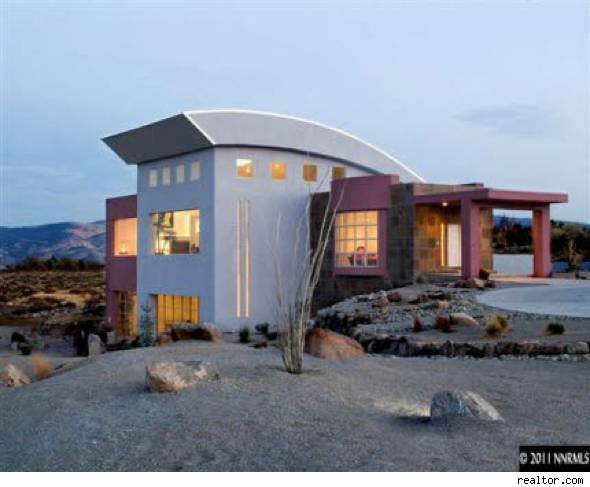 See more Houses of the Day and other homes for sale in Reno, Nev. on AOL Real Estate.